Cookie brand Oreo has baked up a new campaign to mark the launch of its mint and limited edition strawberry cheesecake flavours. Hill+Knowlton Strategies is leading the PR and influencer activity surrounding the £3.4m campaign. 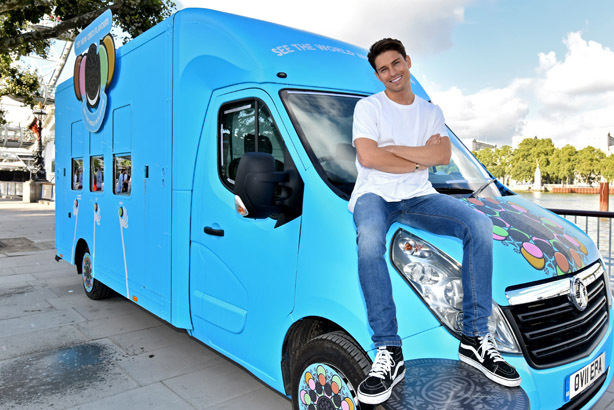 The agency has brought in reality TV star Joey Essex to help launch an Oreo Flavour Mobile, which will be touring seven cities including Cardiff, Liverpool and Leeds and three festivals, starting at London’s Southbank today. The public can try its "recipe randomiser", which offers an assortment of treats concocted using the two new flavours, including Oreo Mint Tarts and Strawberry Cheescake Oreo Fudge Tart. To generate media interest ahead of the launch, H+K also took the van around seven media houses in the capital to encourage journalists to sample recipes themselves and spark social media interest. A Facebook livestream featuring an as yet unannounced influencer will also be held from the van this afternoon (Friday). A new TV ad developed by ad agency FCB Inferno will air on 29 August to promote the new flavours, with the seven week experiential mobile tour and PR and digital activity in support. Helen Potter, senior brand manager at Oreo, said: "We’re really excited to bring to life the world of Oreo flavours for our consumers this autumn. From our new TVC which playfully showcases our full Oreo flavour range through to the new Oreo Flavour Mobile, which will give consumers the chance to experience our delicious flavours for themselves, we hope everyone will be able to enjoy a taste of our wonder-filled flavours world this autumn." The brand has become well-known for its ability to respond quickly to events and conjure up topical campaigns. The blackout "You can still dunk in the dark" tweet during the 2013 Super Bowl and the Oreo Eclipse last year, which it created with PHD, are two particularly memorable ones. Was Charlton unwise, unlucky or both over fan 'gagging' letter that sparked outrage? Why didn't PR firms win more PR Lions? And does it even matter?